It’s one of those legendary myths: Legalization will make cannabis more accessible to kids. Now Colorado has proven just the opposite. As the cases of Charlotte and other children have shown, it might not even be a good idea to keep cannabis away from children to start with. But considering how much of a taboo it still is, let’s agree on the fact that children - unless in medical need - should have no access to cannabis. In a recent sting operation, underage teens were sent into twenty different stores trying to purchase legal cannabis, similar to how alcohol retailers are being checked. The result: Every single store refused to sell cannabis to the teens. That’s a 100% compliance rate - a number not many alcohol retailers can show. Much of the worries about cannabis are not directly concerning the plant itself, they are stemming from the illegal environment that misguided drug policies have created. In most countries, buying cannabis still involves shady dealers that don’t care about age or have a sense of responsibility. And it’s true that sometimes those same dealers carry more than just weed, bringing cannabis into contact with hard drugs. 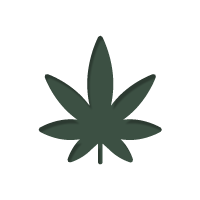 Further, the cannabis can be loaded with pesticides or other pollutants. On the other hand, a regulated marked takes care of all these problems at once: There is ID check, quality control of the herb, no contact with hard drugs and customers don’t need to worry about getting cough up in the webs of the penal system. Besides the important aspects of health and safety, a legal cannabis market is bringing in big tax money that can be put to good use. Let us learn from Colorado and follow its footsteps - only a regulated and responsible cannabis market can provide a safe environment.